You might not think of Copenhagen as an aquarium-destination-city but you’d be wrong. 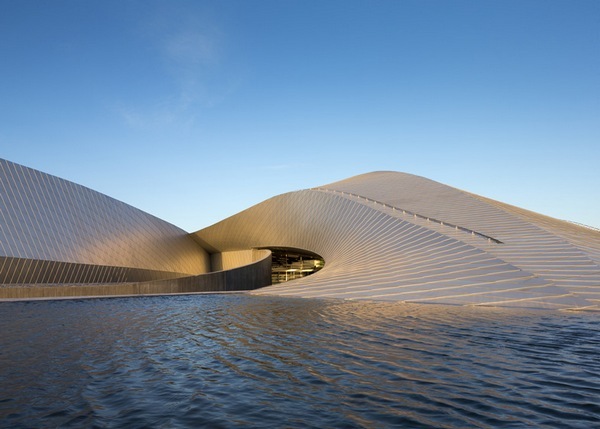 The Blue Planet Aquarium, located on the waterfront in Copenhagen, Denmark, is an architectural masterpiece. Clad in aluminum shingles that shimmer like fish scales and shaped with wave-like curves (or perhaps it’s the shape of a Nautilus shell, the spin of a whirlpool or the fan of a starfish’s legs? 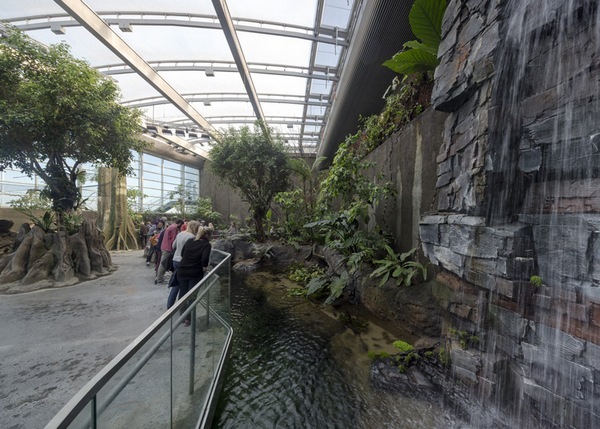 ), the aquarium is spectacular both inside and out. 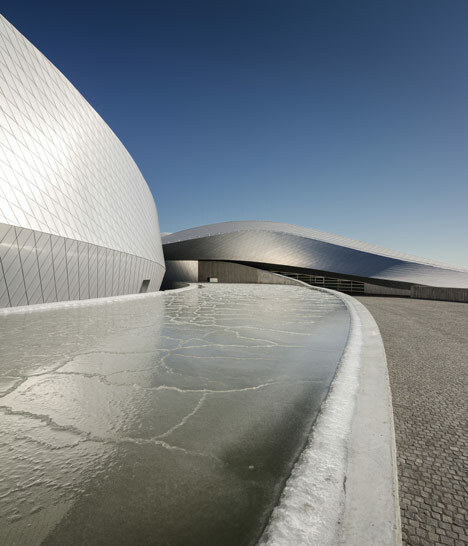 The building is designed to mimic the shapes of swirling water. A series of curved wings fan from a central, circular foyer where visitors can look up through a glass ceiling into a pool directly overhead. The aim was to bring visitors down to the world of fish and to create an ‘under-the-sea’ atmosphere. 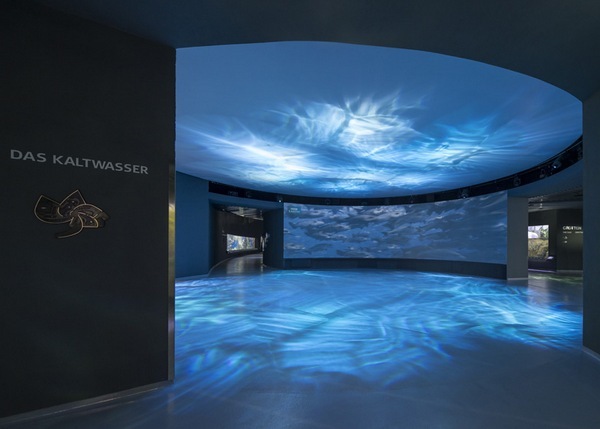 It certainly puts a spin on most existing aquariums where the water-tunnel or underwater experience is the grand finale. The work of Danish architects 3XN, the complex building is designed to hold seven million litres of water in fifty-three displays representing marine and freshwater aquatic environments. 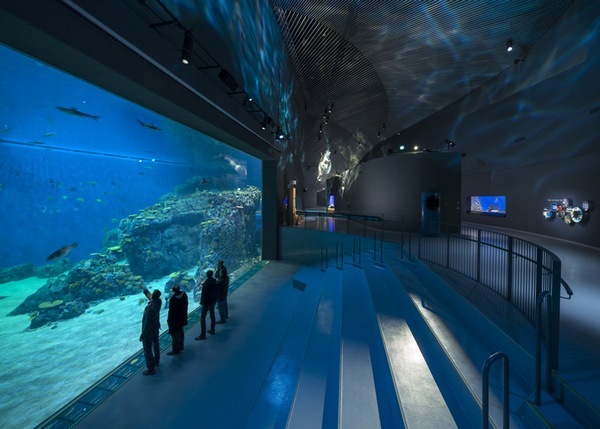 The displays are home to more than twenty thousand animals and four hundred and fifty species of aquatic creatures, making it the largest aquarium in Europe. The Blue Planet Aquarium has only just opened to the public. If you’re planning a trip to Denmark, I’d say it’s right up there with the Little Mermaid on the list of ‘must-sees’.